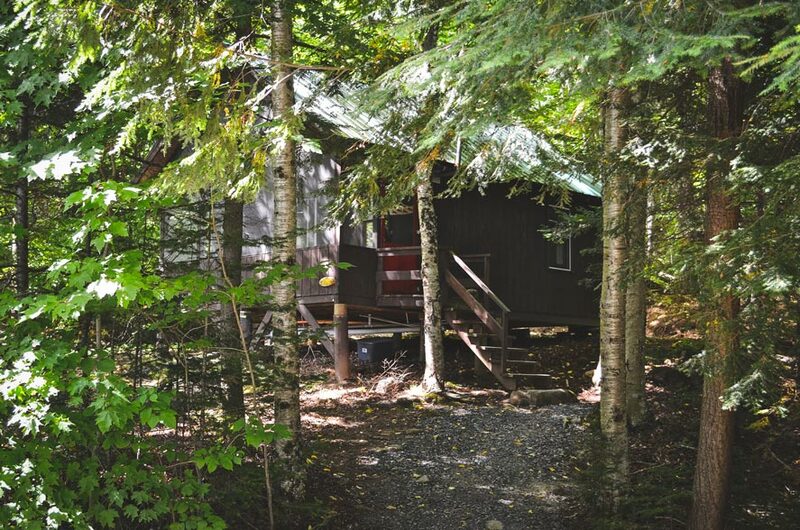 Up to 5 in two bedrooms (one with double bed and one with a twin and a bunk bed); sitting room, private bathroom with tub-shower, large screen porch, close to main camp. 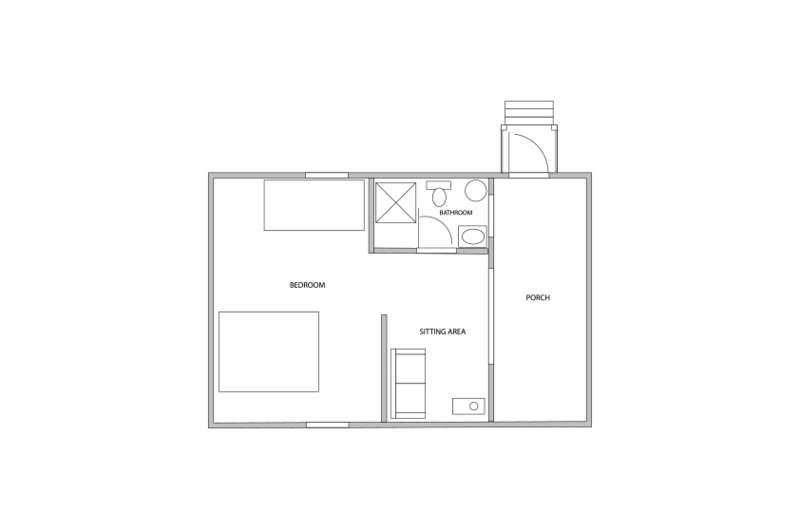 Up to 2 in one bedroom (queen bed, day bed in sitting room); private bathroom with stall shower, small screen porch. 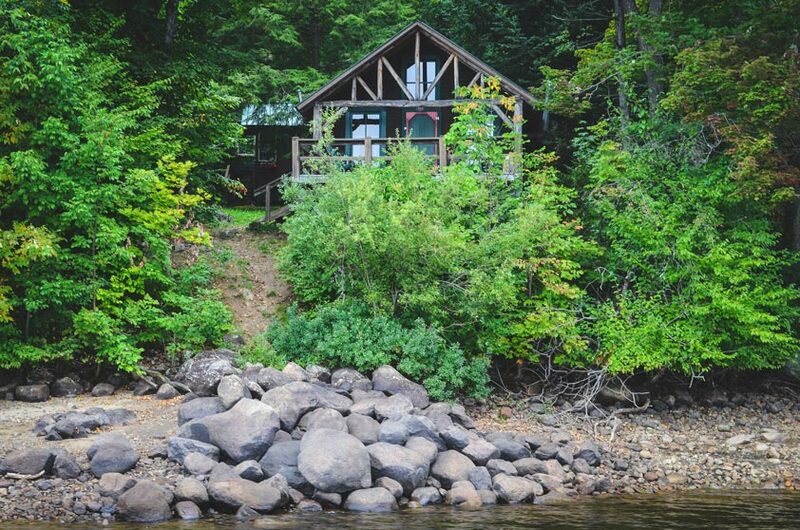 Not on the lake, but very private and still close to main camp. 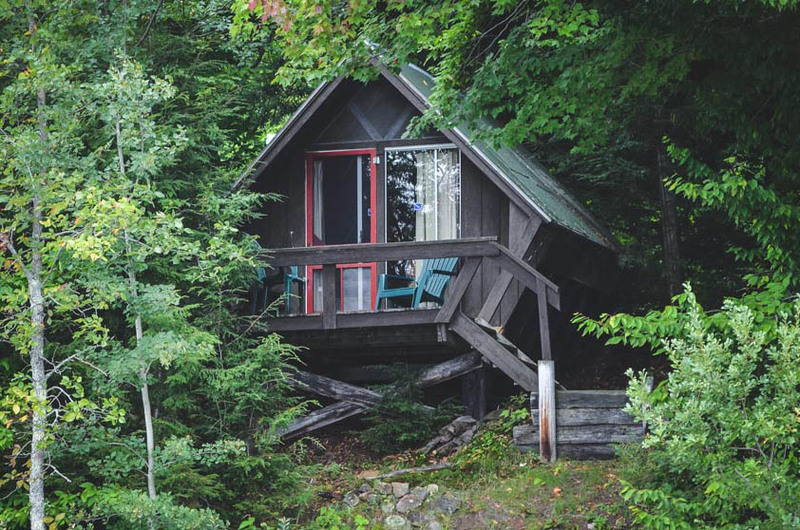 Up to 4 in two rooms (one with queen bed and one with bunk bed); part of main bedroom serves as sitting room, private bathroom with stall shower, large open deck, at water’s edge, outstanding lake views. 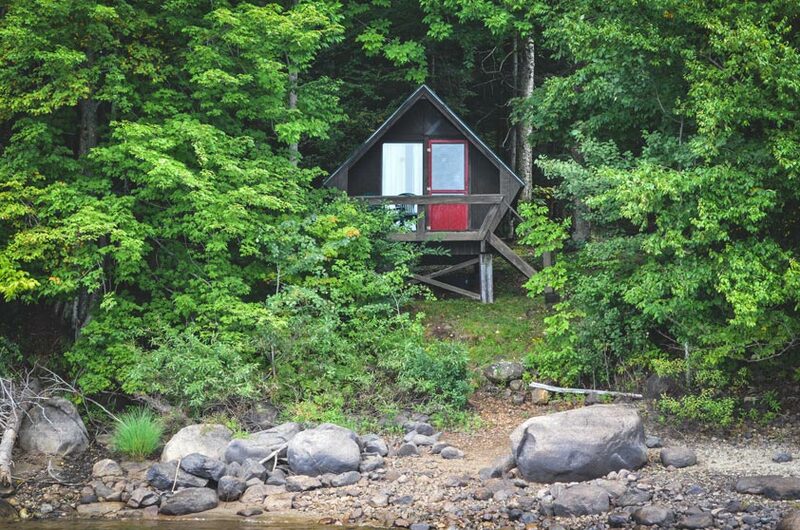 Up to 2 in one room (2 twin beds) at water’s edge with trail john nearby. 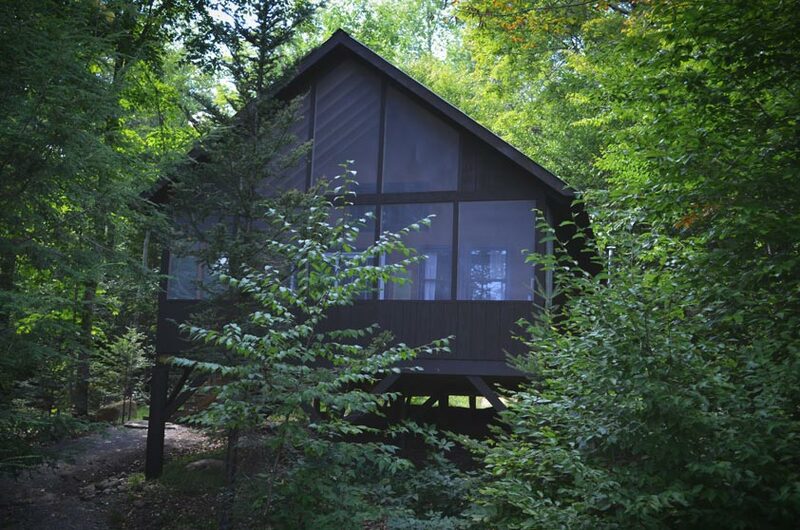 Up to 3 in one room (one queen bed and one twin bed); private bathroom with stall shower, screen porch, excellent lake views. 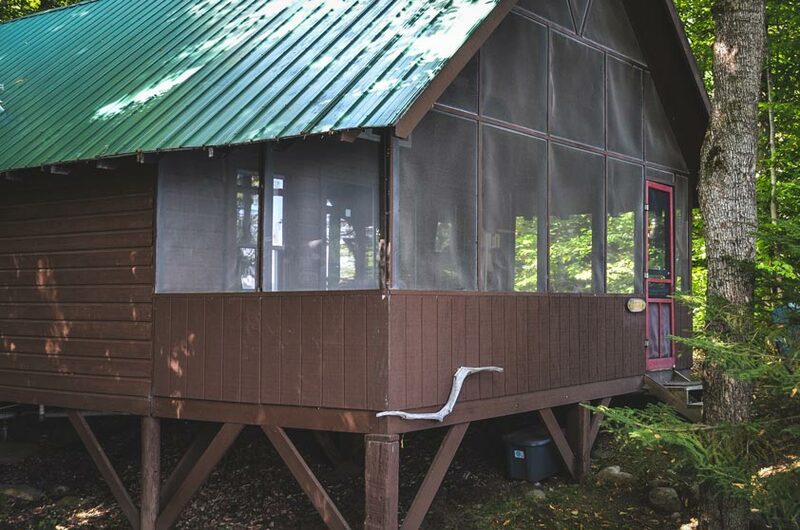 Up to 3 in two rooms (one with two twins, one with a single twin); private bathroom with stall shower, screen porch, excellent lake views. 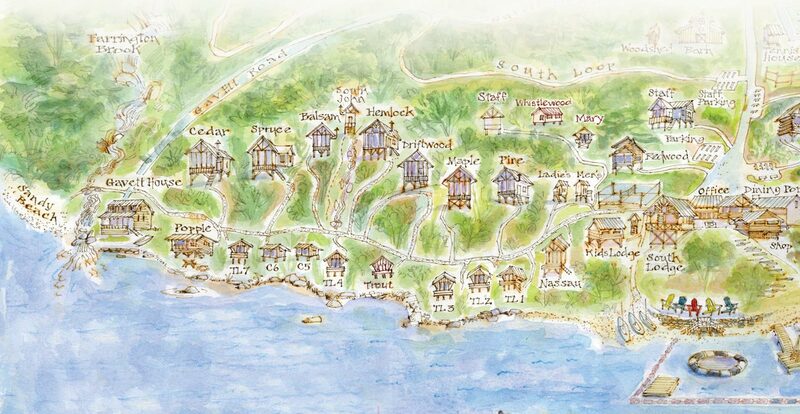 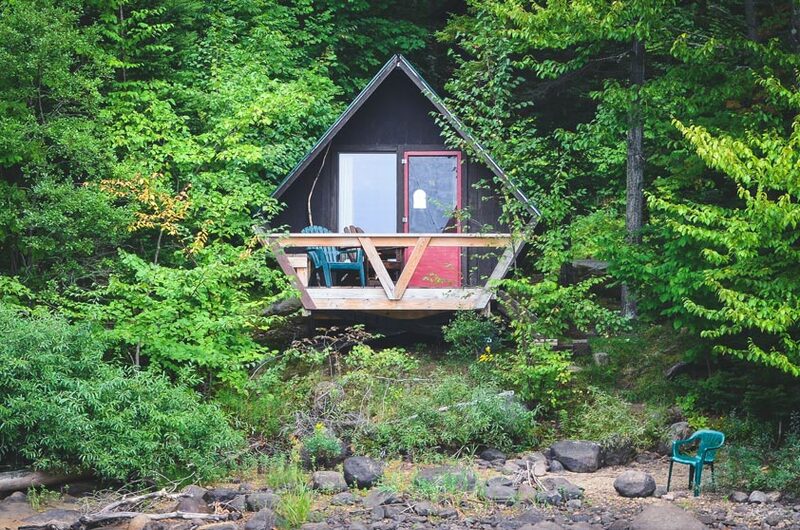 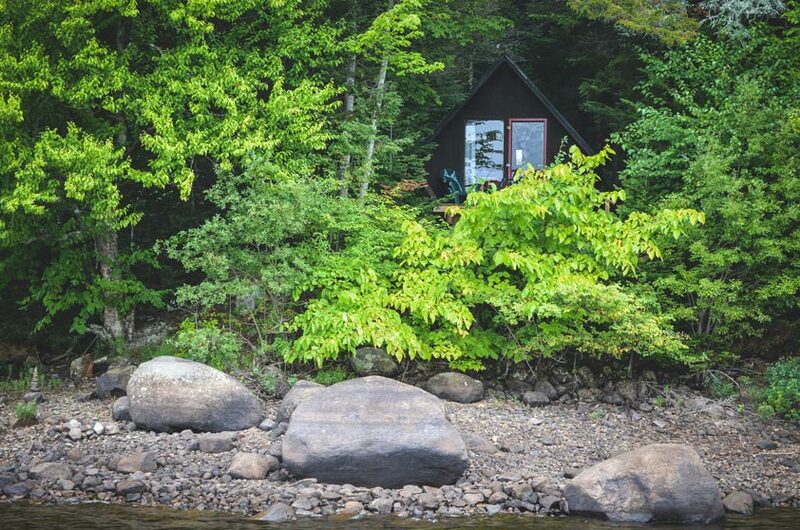 Up to 2 in one room (1 double bed) at the water’s edge with trail john nearby. 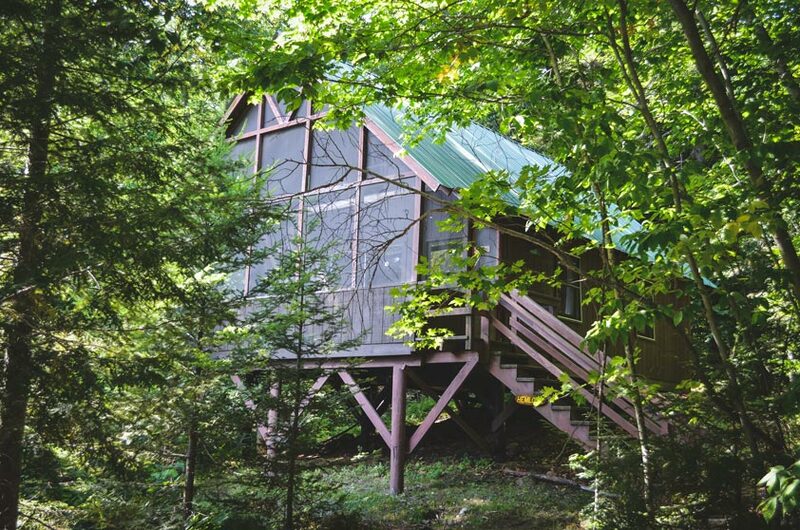 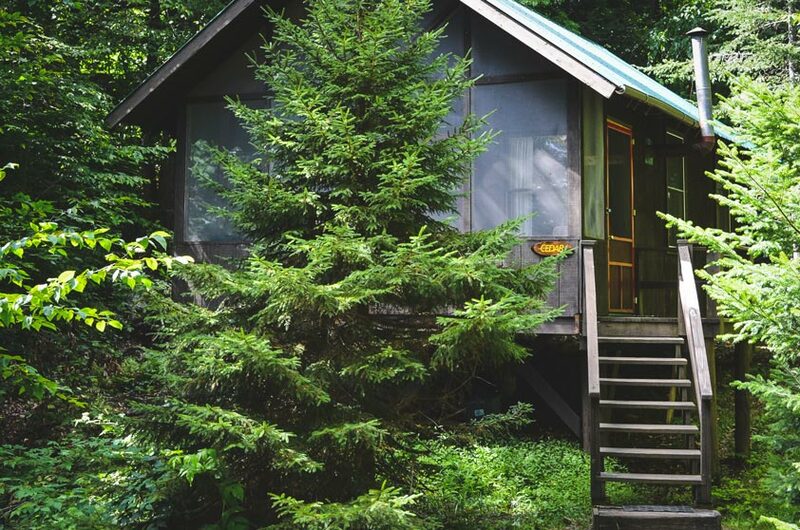 Up to 5 in two bedrooms (one with a queen bed, one with two twin beds and a single bed in an alcove); private bathroom with stall shower, screen porch, excellent lake views. 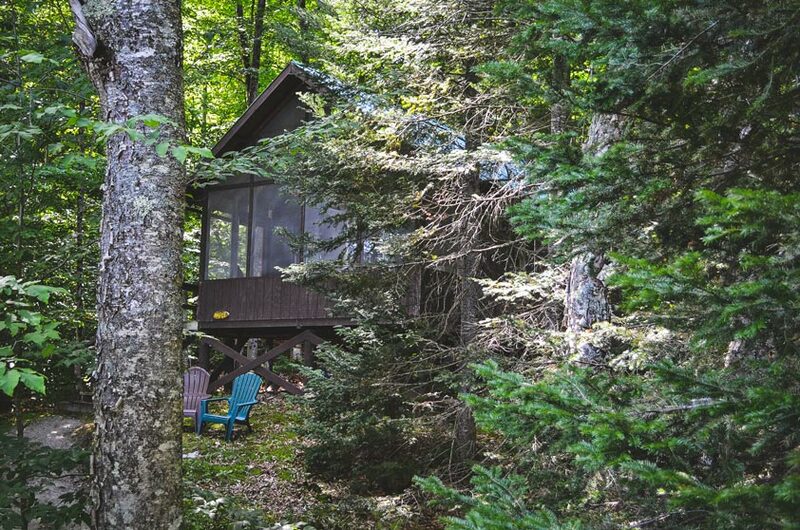 Up to 7 in three bedrooms (one with a queen, one with two twins and second floor with three twin beds in large open room); private bathroom with stall shower, sitting room, large screen porch, excellent lake views. 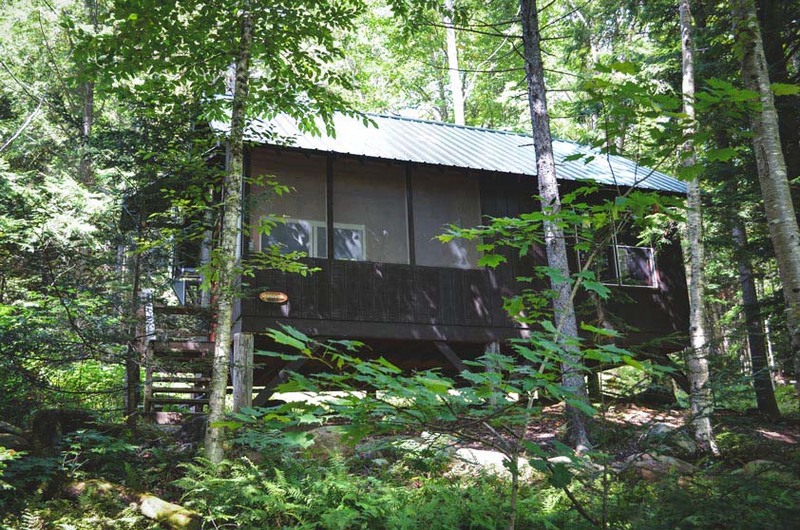 Up to 2 in one room (2 twin beds) at water’s edge with trail john nearby. 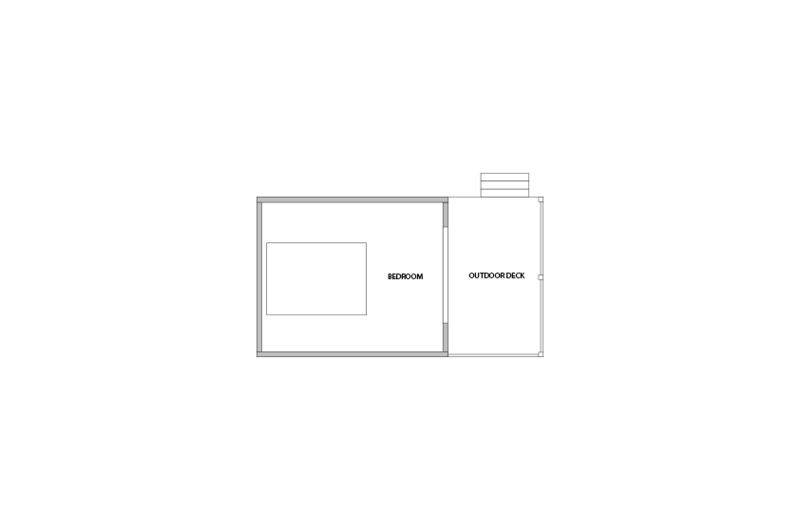 Wood stove. 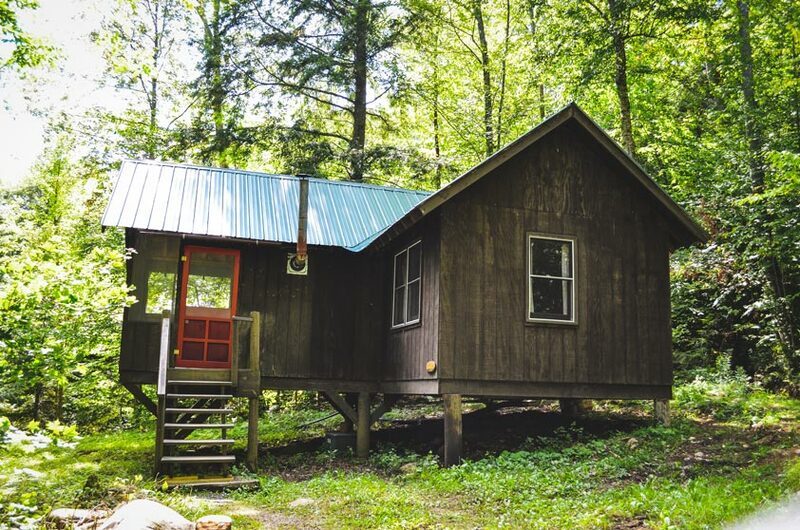 Up to 5 in two bedrooms (one with queen bed and one with two twins and a single bed in alcove); sitting room, private bathroom with stall shower, screen porch, excellent lake views. 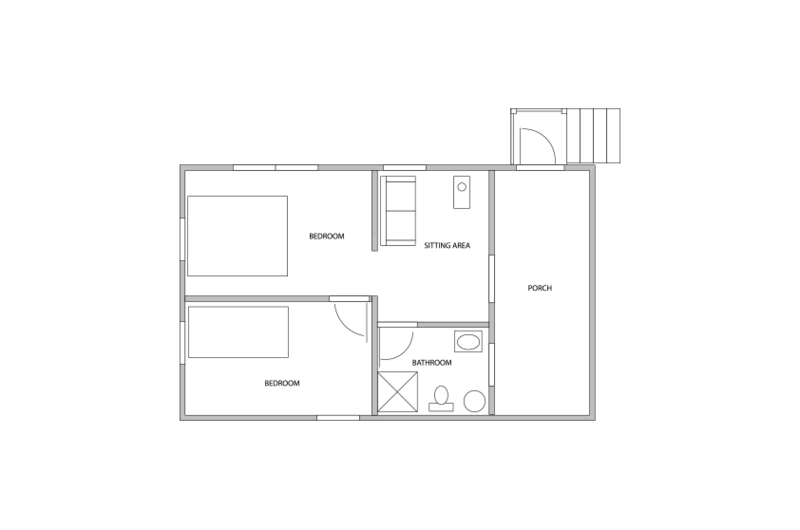 Up to 2 in one room (one double bed) at water’s edge with trail john nearby. 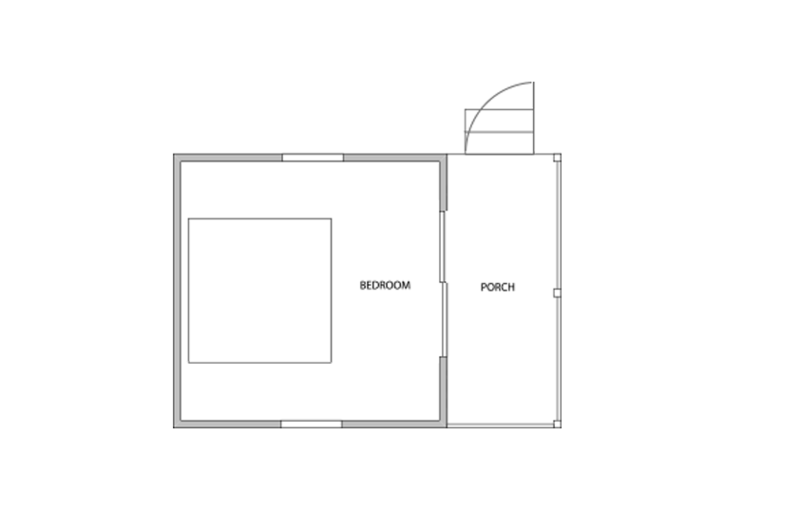 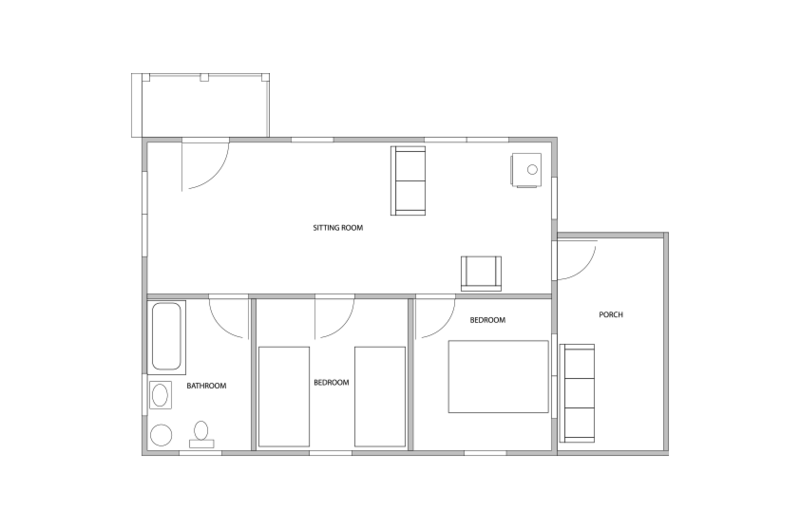 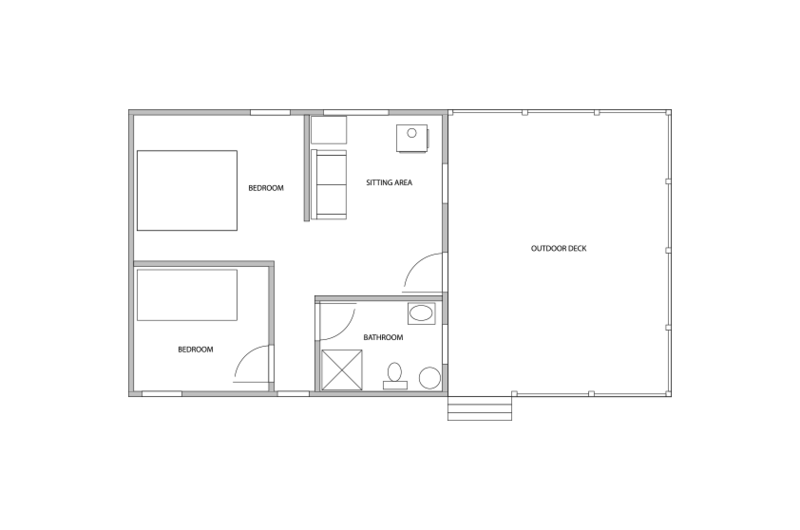 Up to 4 in two bedrooms (one with a queen, one with a bunk); private bathroom with stall shower, small screen porch. 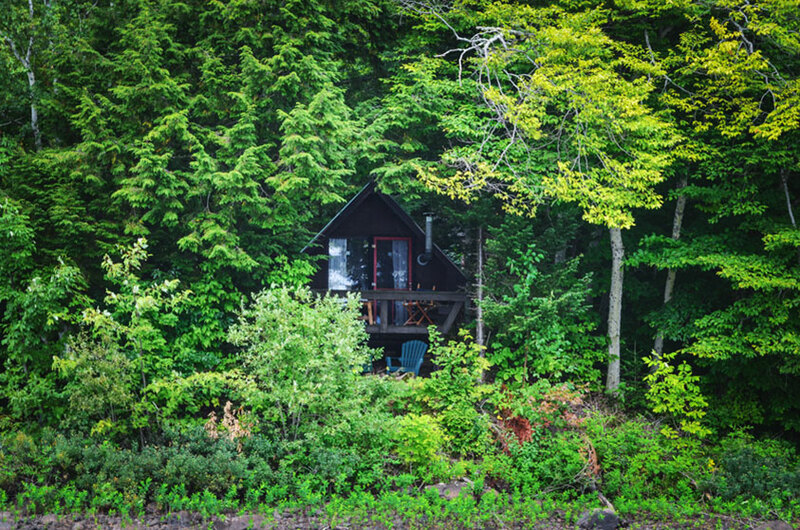 View of the lake through trees. 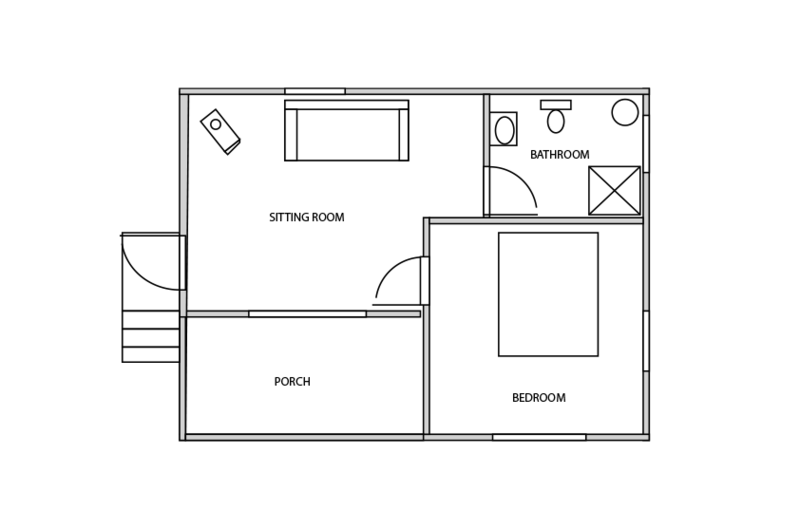 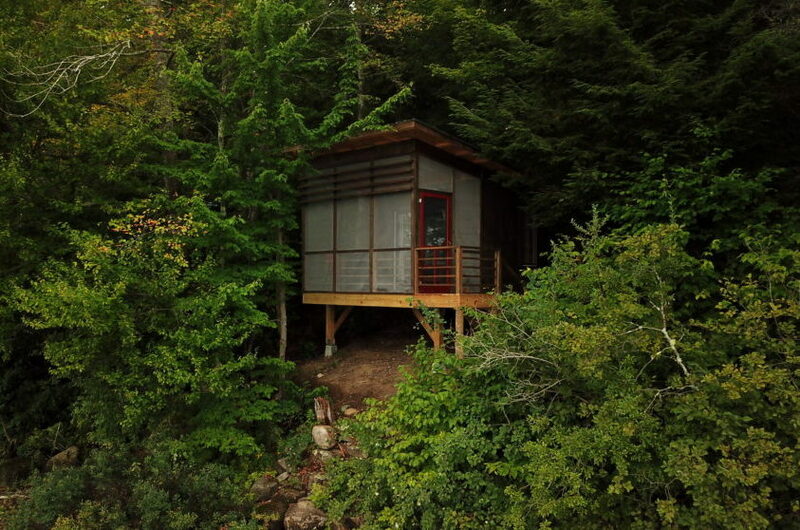 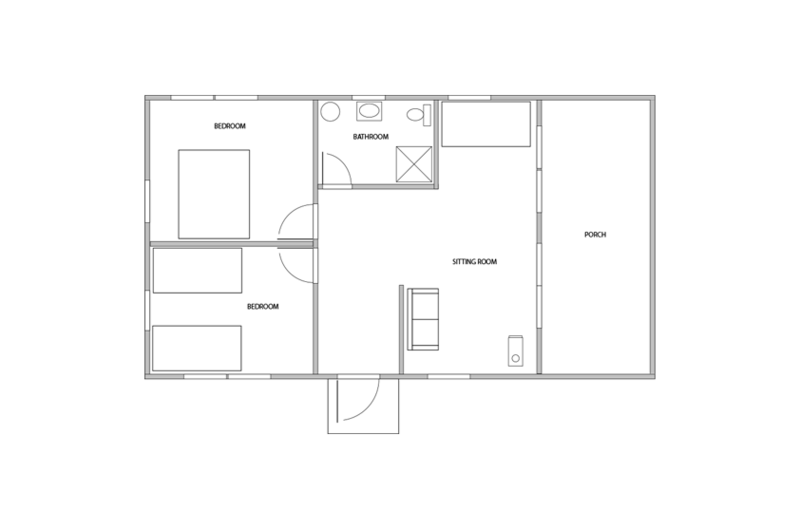 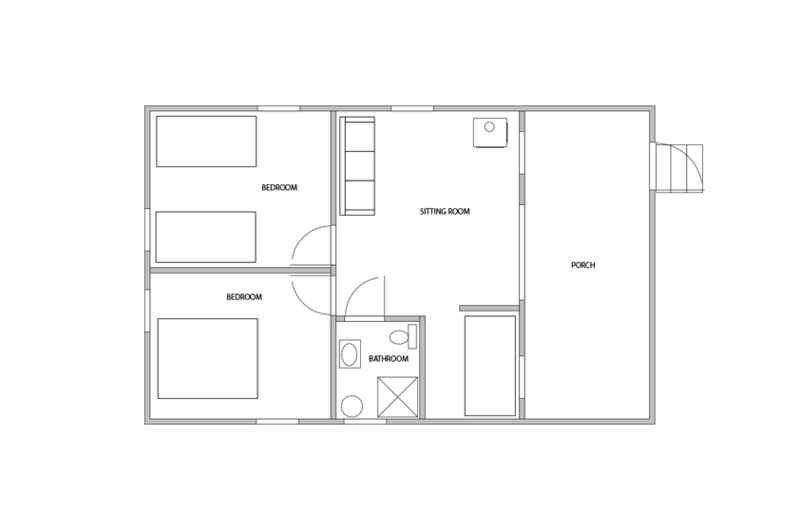 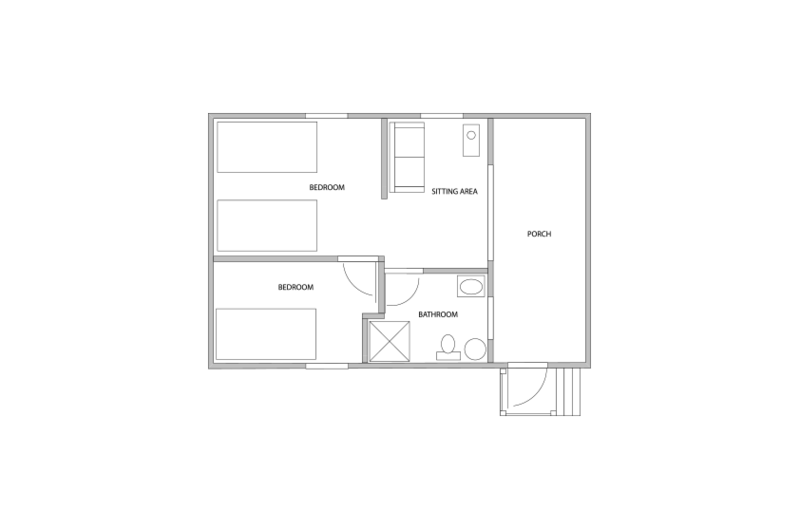 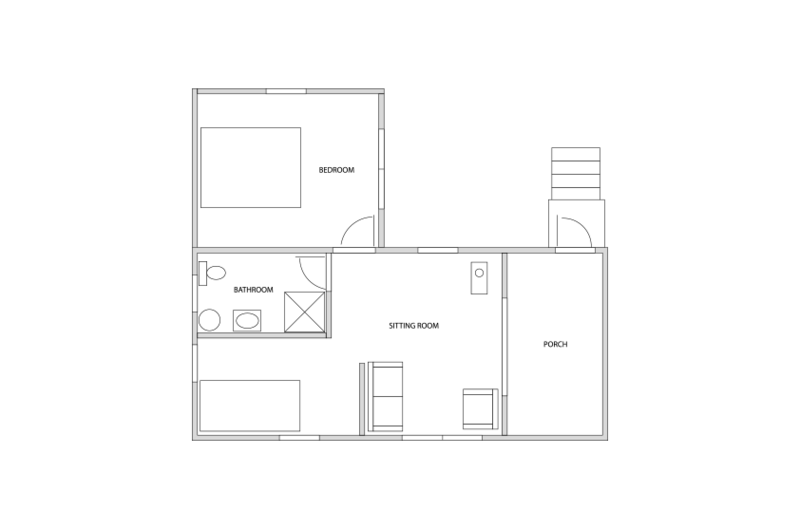 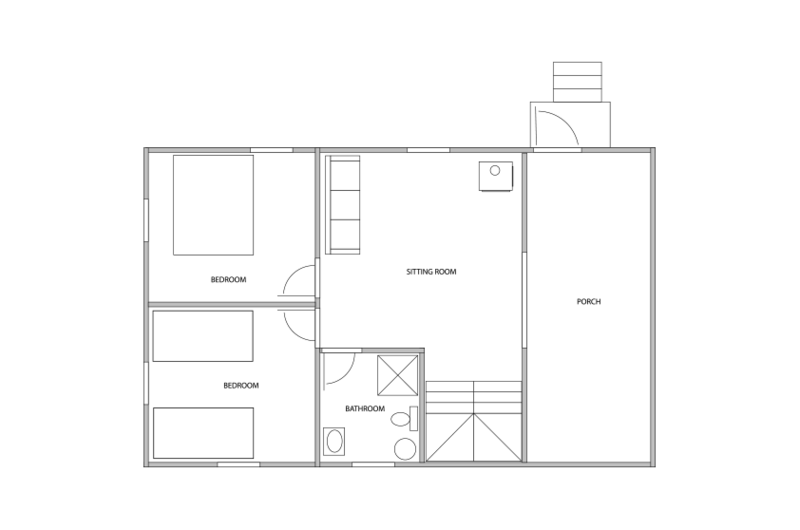 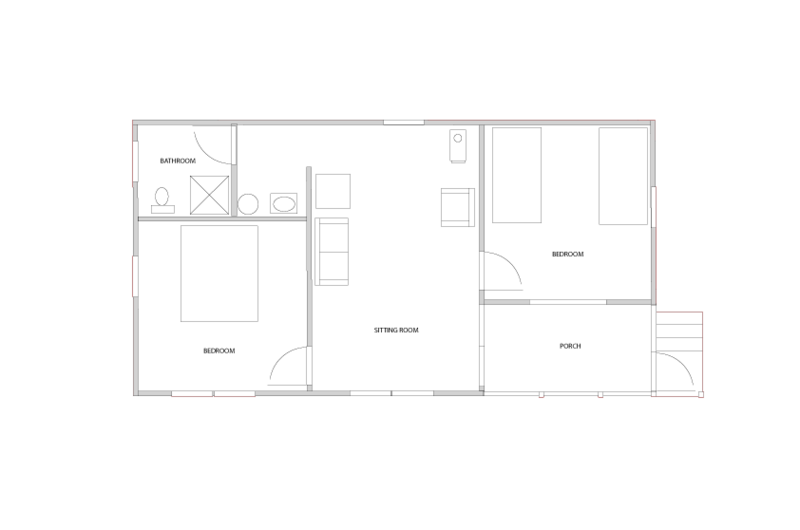 Up to 4 in two bedrooms (one with a queen, one with a bunk; private bathroom with stall shower, small screen porch. 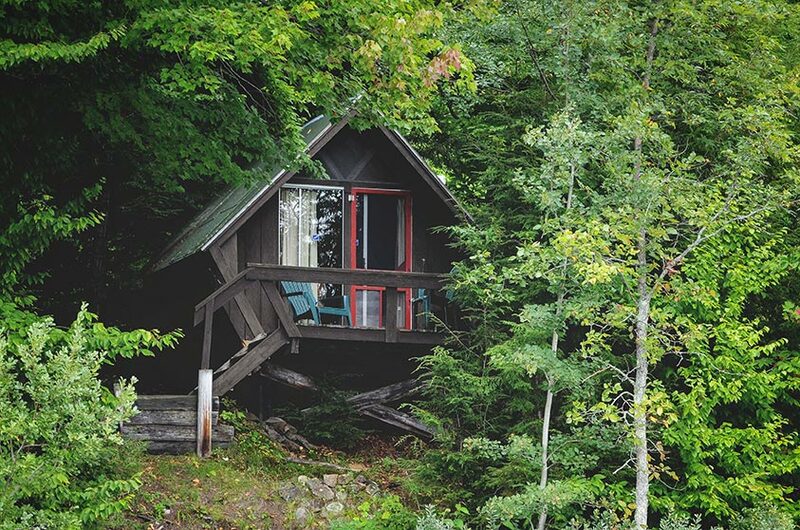 Lake view through trees. 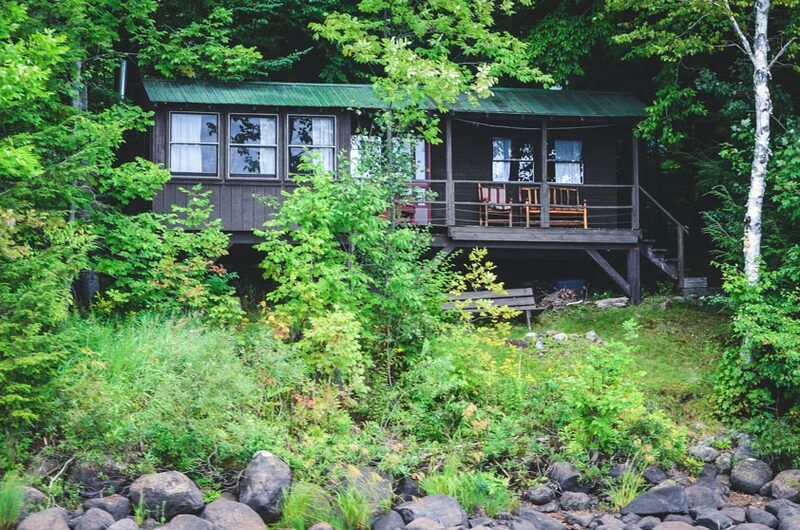 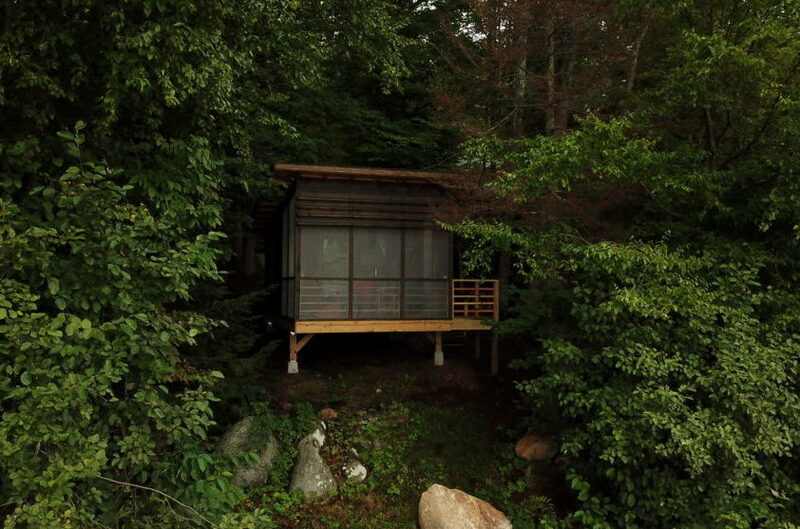 Up to 4 in two rooms, one with a queen and one with twin beds; sitting room, stall shower, screen porch, at water’s edge with sweeping lake views. 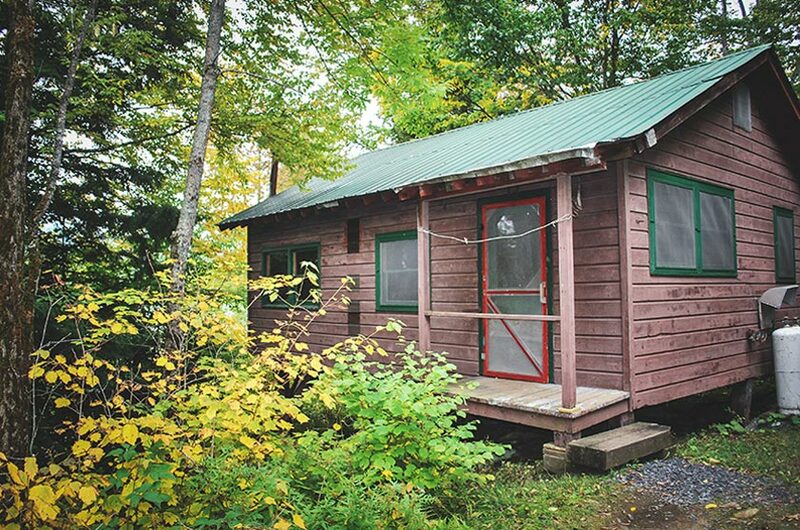 PLEASE NOTE: Cabin pictured here is of the original cabin which has been replaced with a brand new one in 2019 (new photo coming soon).